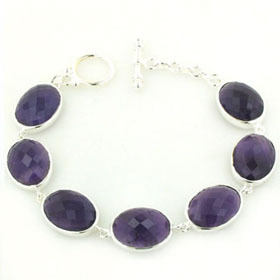 Amethyst and sterling silver bracelet. 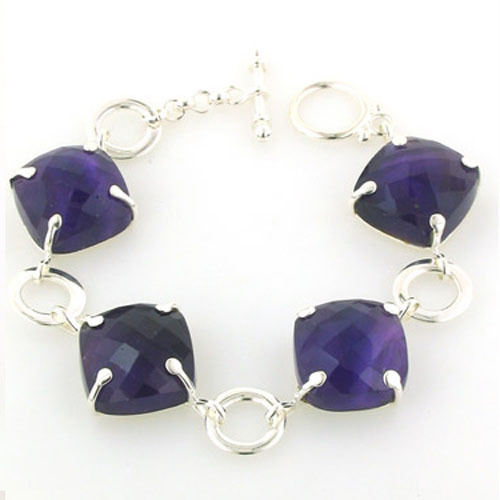 This amethyst bracelet has 4 chunky square, checker cut amethysts claw set in sterling silver. 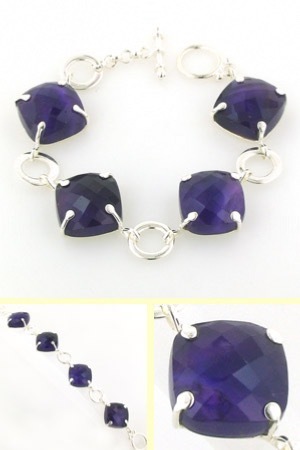 The faceting on the surface of these amethysts creates a checker board effect of small squares which glitter as the light catches them. 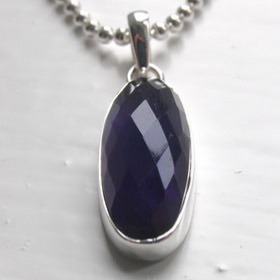 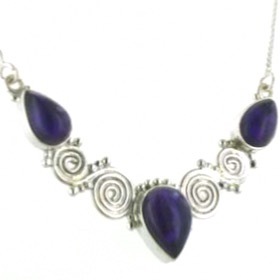 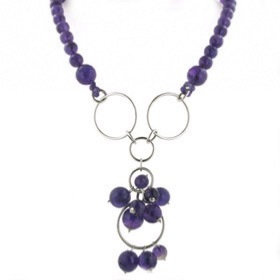 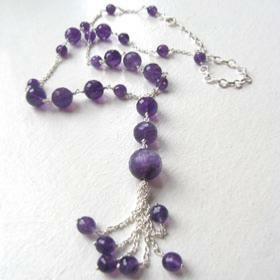 The amethysts are a stunning deep purple colour - beautiful against the bright sterling silver. 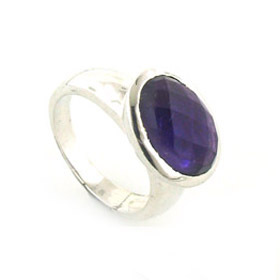 Between each square amethyst is a large plain sterling silver ring. 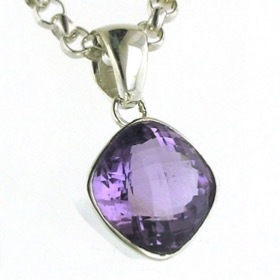 Each amethyst has a solid silver back. 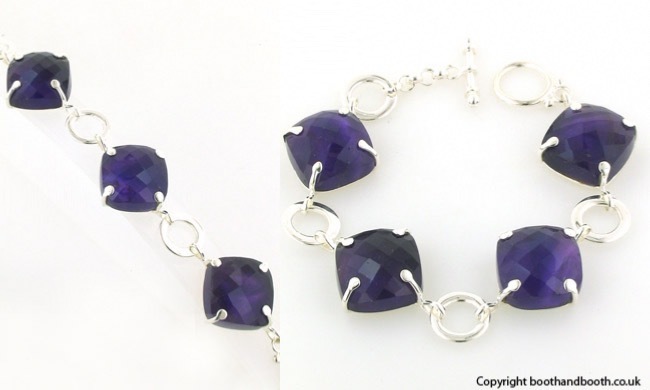 The bracelet fastens with a toggle clasp. 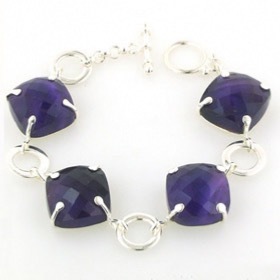 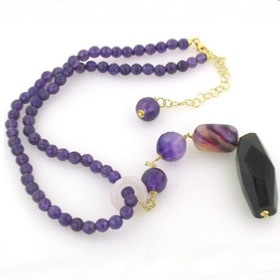 This amethyst bracelet is small and therefore only suitable for slender wrists. 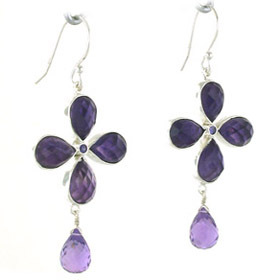 Team up with sterling silver earrings or amethyst earrings.